Wayward recently republished a great article on what future real time strategy games have to do to help themselves succeed. He lists three things that he feels will be key in the growth and survivability of the RTS genre. Today I want to expand on this list a bit. I do first want to talk about the foundation of my ideas, so I hope you’ll indulge me here. 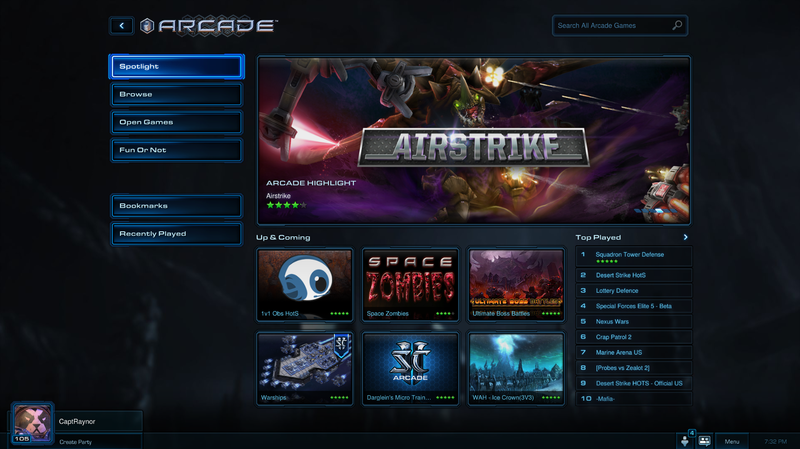 – Two Campaigns: Possibly as well known as it’s multiplayer, Starcraft boasts two robust single player campaigns with varying difficulty modes, missions and achievements. – Arcade: This is that workshop Wayward discussed above. It’s a place where users can take the Galaxy map and unit editor to create new games within the engine. – Custom Games: This allows you to play with friends or computers in a variety of maps and modes which are up to the person who creates the group. – Versus AI: This is a ladder type system where you play against computers (alone or in groups of up to four members) and as you win you play against increasingly difficult AI opponents. – Training and Challenges: Puts the player through a variety of situations and difficulties to prepare them for common challenges they will face against human opponents. – Free for All: Simple as it sounds, from four to eight players will face off with no teams. – Team Ladder: 2v2, 3v3 and 4v4 teams will face off in both unranked and ranked ladders. – 1v1 Ladder: Players face each other in unranked and ranked matchmaking. Starcraft 2’s final expansion, Legacy of the Void, will also add an additional campaign, a co-op against AI mini-campaign known as Allied Commanders and a new 2v2 mode called Archon Mode. You’ll notice only one item on that list is generally focused on by most of the RTS community, the 1v1 ladder. Legacy of the Void will further add to the non-traditional online experience by including two new modes that enable players to work together. This isn’t an accident and all these other modes aren’t there for fluff, they are part of a big push that Blizzard has focused on, that most people who play their game don’t care about the ladder or competitive scene. Players log on in the millions, not to play against each other in one on one battles, instead they like to play through a story, experience unique game modes or train with friends. Now Blizzard isn’t the only company to pay attention to this, Relic has acknowledged it as well with their expansion strategy for Company of Heroes 2. When it comes to Company of Heroes 2 it is a good game but was unable to really recapture both the single and multiplayer aspects that made it’s predecessor so great. Now they have produced two multiplayer content packages, Western Front Armies and the soon to be released British Forces, but what has really improved Company of Heroes 2’s reputation was the release of it’s Ardennes Assault expansion. 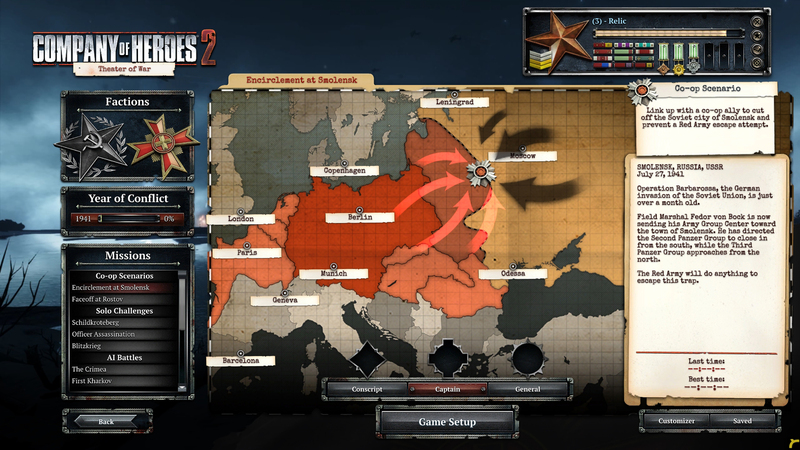 It provided an entirely new and unique single player campaign that had unique aspects each time you played, which helped ease the shorter length. By creating a dynamic map, something we’ve seen Relic do before, and a progression system similar to what we see in the two Starcraft 2 campaigns, we get a unique a different experience each time we play through it. This expansion added great single player depth to a game that was lacking it when it was first released. From my own experience with the game and those who enjoy it I can say with some confidence that the Ardennes Assault added more to the game than any other expansion it’s had. Along with Ardennes Assault, Relic has been supporting Company of Heroes 2 with Theaters of War, a set of game modes similar to Allied Commanders in Starcraft 2. In Theaters of War there are a variety of modes ranging from co-op missions to unique player versus players situations that put the player through fun circumstances. Like Allied Commanders this provides players the chance to do something different than the standard campaign or online ladder. By presenting their player base with these situations Relic and Blizzard have taken steps to ensure they have a player base that will outlast other games in the genre. Both also give incentive to continue playing. Allied Commanders rewards players with upgrades and new units that can be used in future missions and is something that can be supported post-launch. Theaters of War has a variety of awards (see those medals in the picture below, yea, you want those) and pushes players to beat each mission faster and on harder difficulties. This is something the top two RTS developers currently around have noticed and what I hope others take note of. While I see many RTS going down the path of free to play and multiplayer only, I don’t see them having the success they may hope can come from that format. If history is any indicator of the future, as it often is, for an RTS game to reach the peaks of these top developers, they need more. Look at Grey Goo, a game that was a let down for many, it still had solid sales due not only to it’s multiplayer but on the back of a strong campaign. Now if they can continue to improve on their platform, add the things Wayward suggests in his post and remember than most people play the genre for it’s single player and team game aspects it has potential to continue to grow. Relic and Blizzard are presenting an outline that hopefully other developers will follow. It’s important to remember that these features weren’t all there when the games were released. 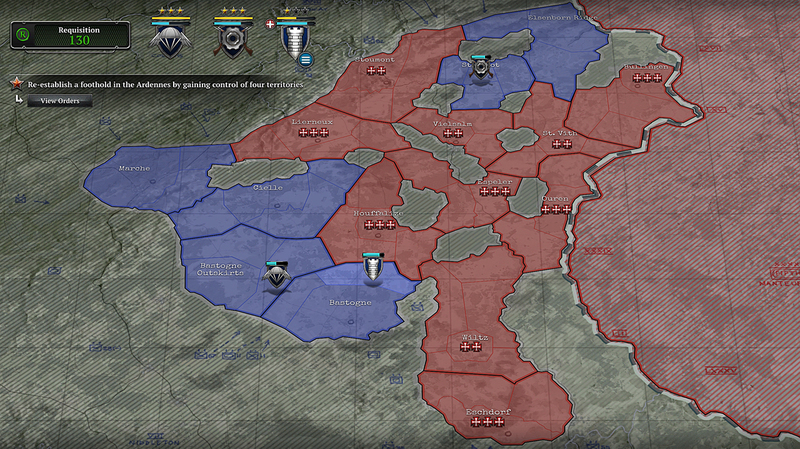 Relic is building on Company of Heroes 2 with each expansion. Blizzard has been adding new features with the releases Heart of the Swarm and Legacy of the Void. The product you play now isn’t the same as they were when they were released. Petroglyph is doing their best to expand on Grey Goo and I hope other developers take note that it’s not always the product they start with but the fact they invest and grow their platform, provide those services discussed at the beginning of the post, not neglect those who enjoy a different experience. Recently, I’ve gotten into a couple of older RTS where the multiplayer community is not dead, but nor is it common to find other new players with whom to learn to play (without a dismal win/loss ratio). Modes of play like sandbox/lab/training/challenges help to extend a game’s lifetime by making learning the game more fun. I have not bothered with the campaigns much, since campaign units are usually balanced differently than in multiplayer, and I don’t want to pick up habits that won’t translate to multiplayer. Man, maybe I could write a shooter column for you and then you’d have an actual stable of writers and a website!
? ?my friend’s sister-in-law makes $78 hourly on the computer . She has been fired from work for nine months but last month her paycheck was $15084 just working on the computer for a few hours.